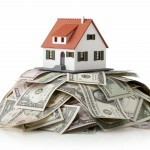 Enhancing your attic insulation can lower your utility bills and add value to your Lakeland, FL home. You can save hundreds of dollars a year in heating and cooling costs by upgrading your attic insulation. Since it is affordable to raise the R-value from as low as an R11 to as high as an R49, you could recoup that cost in just 2 to 3 years. This means that from then on, you are putting money right back in your pocket year after year. 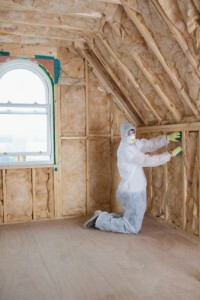 Enhancing your attic insulation also adds value to your home, making it a win-win situation. At Polk County Insulation, we have been helping homeowners in the Lakeland, Florida area lower their utility bills, thanks to improved attic insulation, for more than 20 years. We offer nothing but the best in service, workmanship and customer satisfaction. There are various methods for insulating an attic, including rolled blanket-type insulation and blown-in insulation. 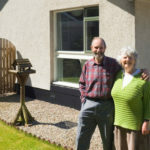 We can use either of these methods for your home. We can also remove old attic insulation and replace it if the existing insulation has become damaged by a leaking roof or rodents. The important thing when it comes to replacing or adding to your attic insulation is to always use a professional. It may seem like an easy enough task to roll out some fiberglass batts, but it can be done incorrectly, and then you may not get the results you are hoping for. It is not a particularly fun task anyhow. You definitely should use a professional for blown-in insulation, as it requires a machine designed for this purpose. We will be glad to come out to your home and provide a free inspection and estimate. We can assess if you would benefit from additional attic insulation or not. We’ll never recommend unnecessary changes.